The Toddy Cold Brew System is designed to make “coffeehouse” caliber coffee which can be served hot or iced cold. The traditional hot brewing method creates a higher level of acidity in coffee, which can be difficult for coffee connoisseurs who have a sensitive stomach. 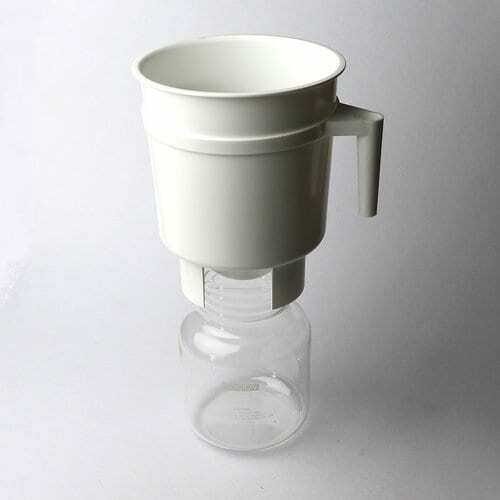 In 1964 Todd Simpson, a chemical engineering graduate, developed and patented this cold brewing system. It uses regular coffee beans and yields a superior tasting cup of steaming HOT coffee; acidity levels are reduced by an amazing 67% compared to traditional hot brew methods. The coffee that is produced is bold, yet super-smooth. The Toddy brewer is also great for brewing tea – served hot, or as iced tea.